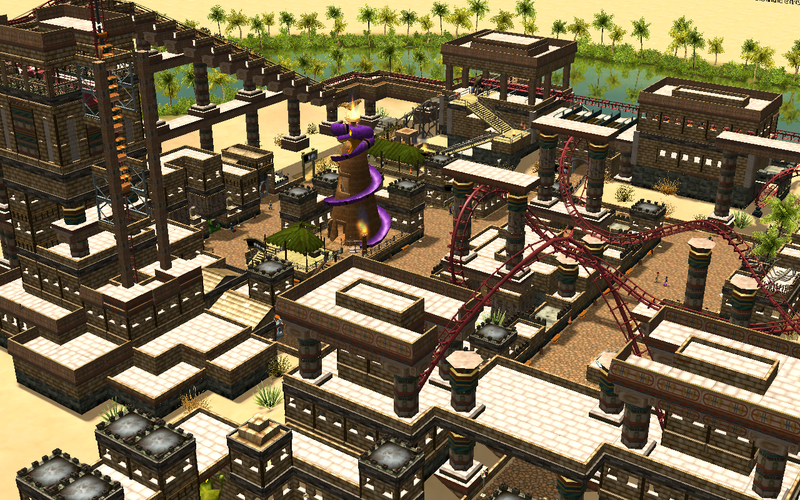 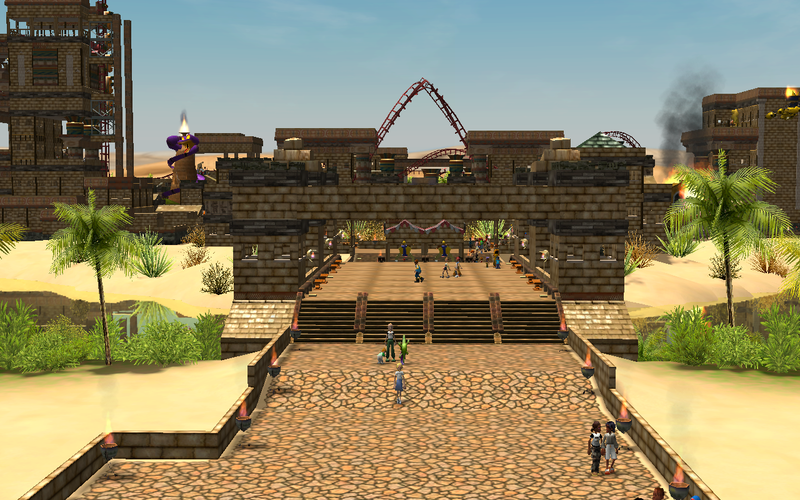 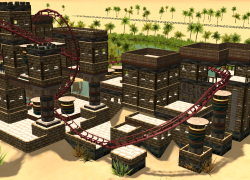 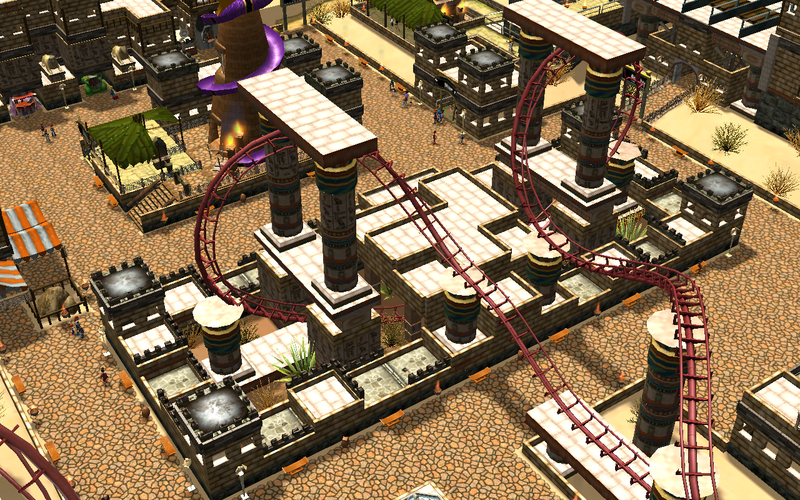 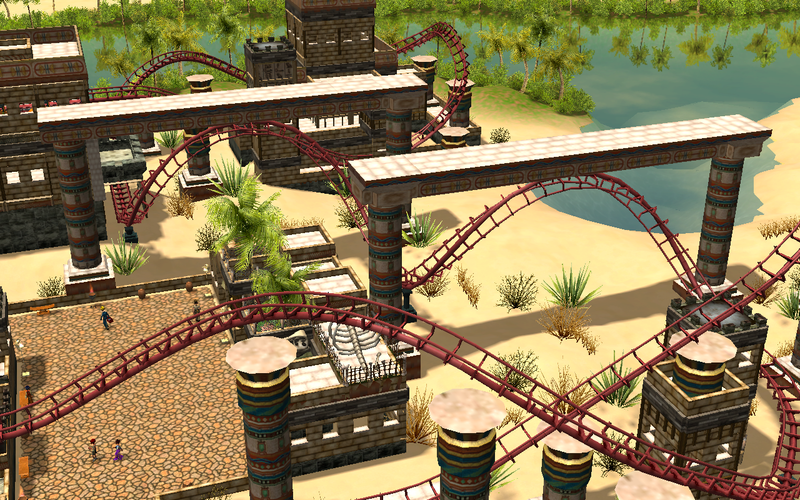 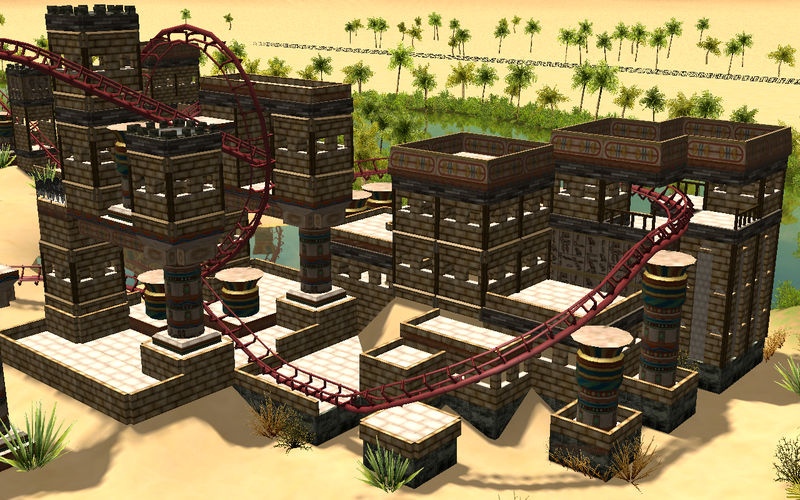 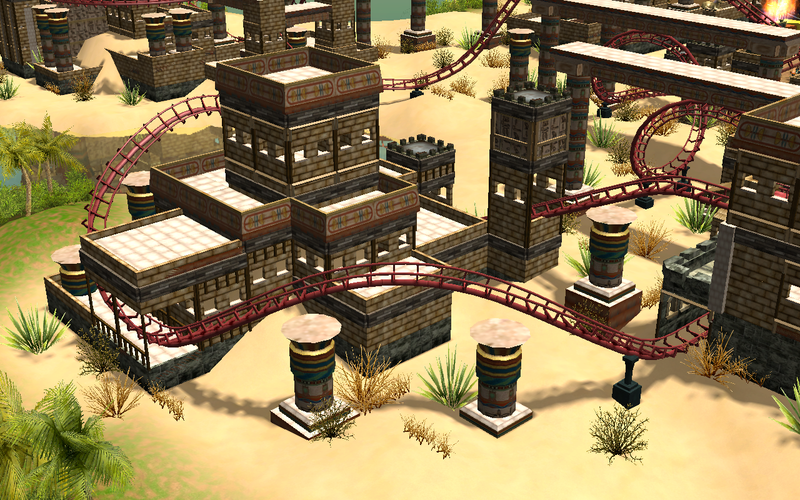 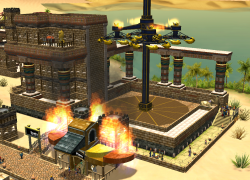 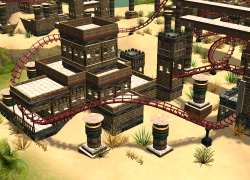 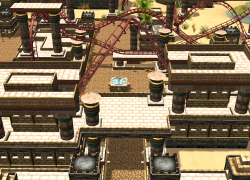 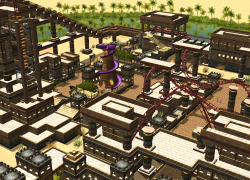 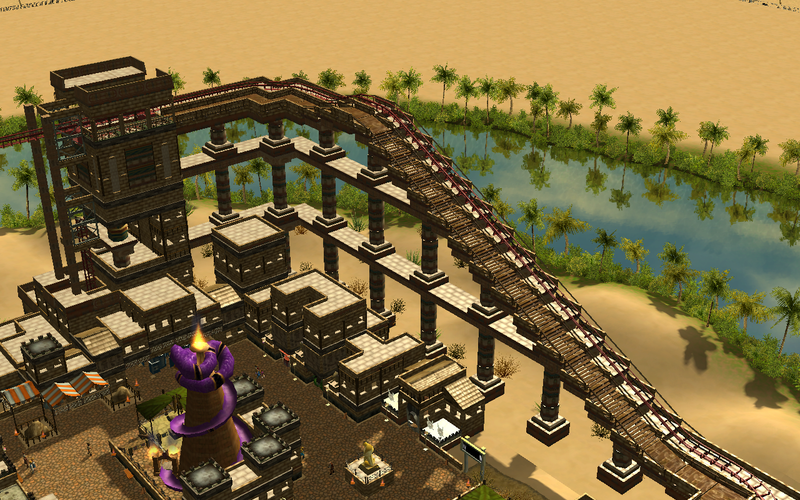 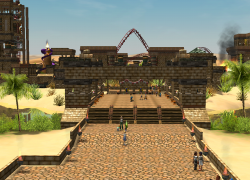 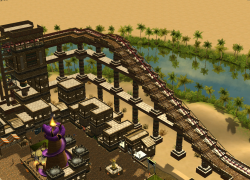 Desert Traveller is a tilt corkscrew roller coaster built around a small abandoned Egyptian city. 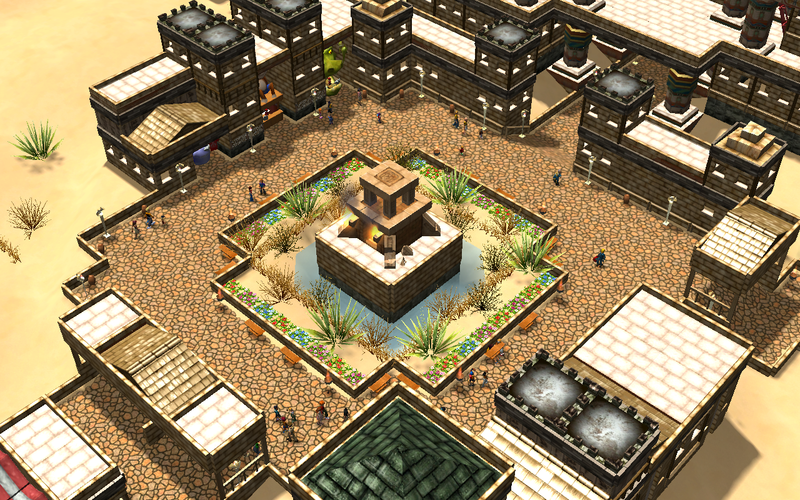 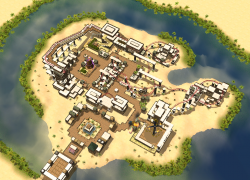 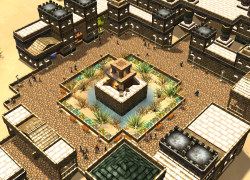 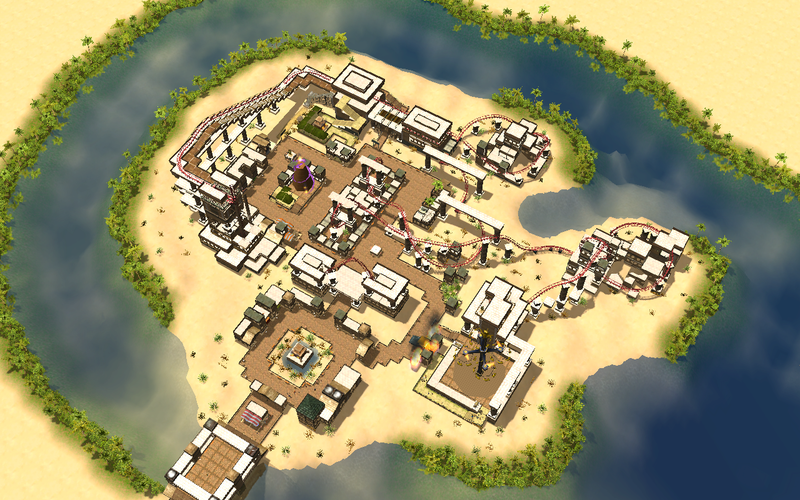 This city is installed on a deserted island in an oasis. 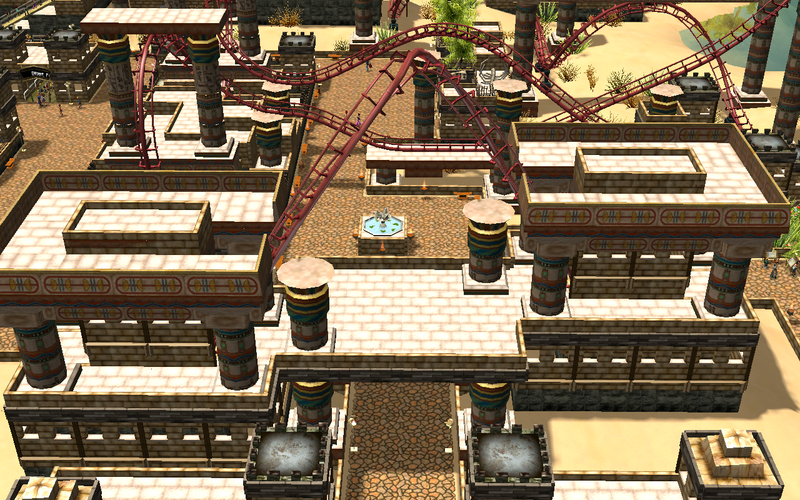 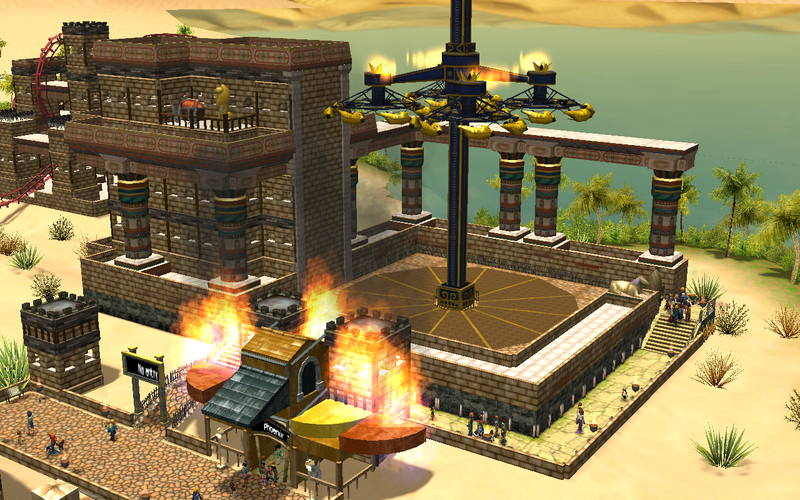 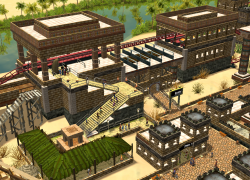 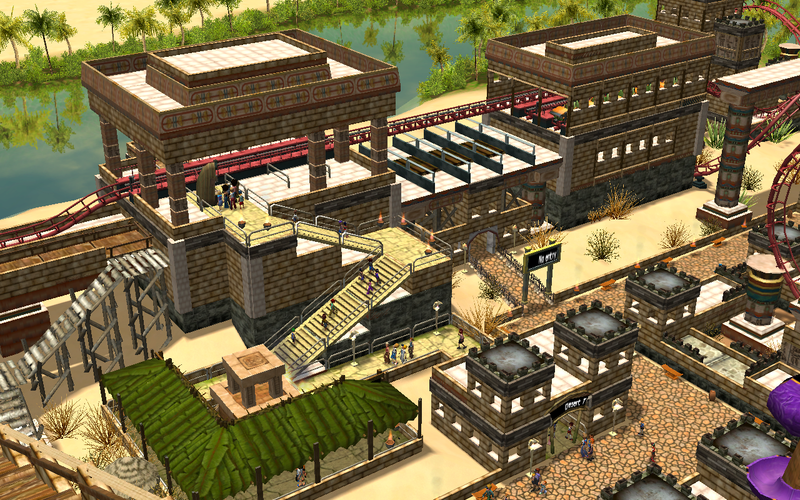 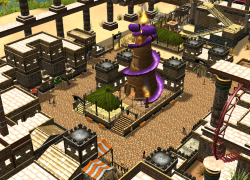 This area shows many Egyptian style buildings and ruins designed in various ways, many times with fancy and sometimes unreal details. 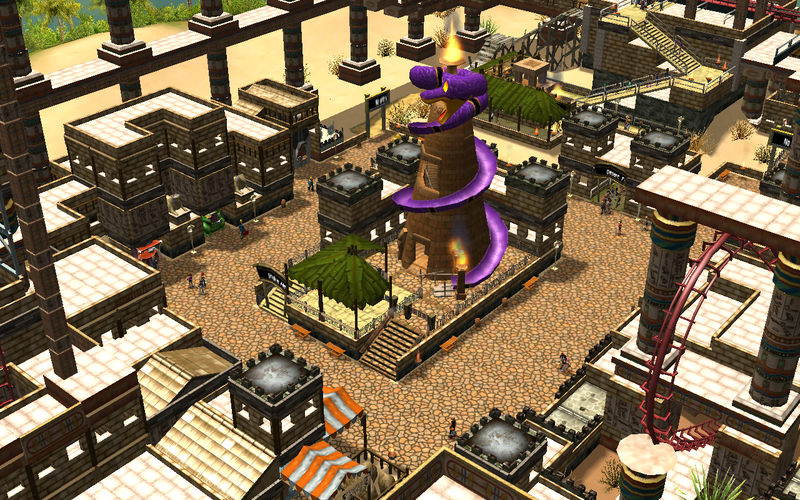 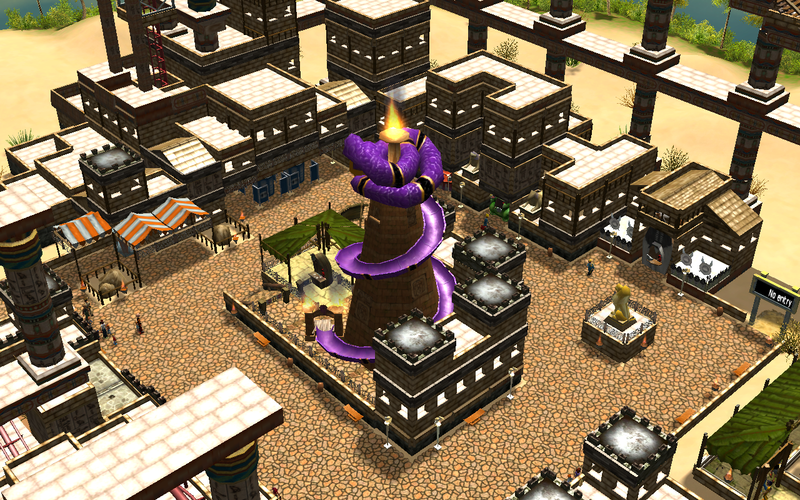 This area is complete with many stalls around the city and a few flat rides, such as a snake slide ride and a Phoenix twister. 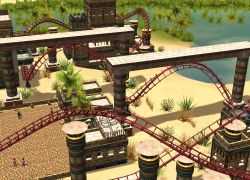 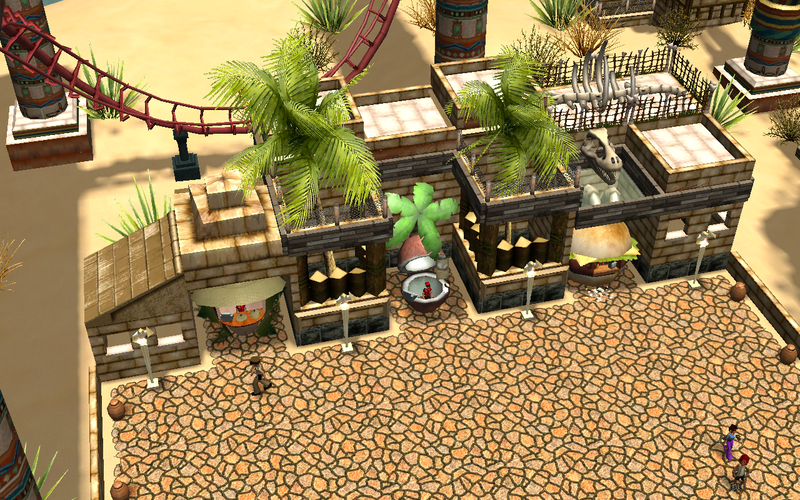 I noticed that advanced NCS (Non Custom Scenery) parks or tracks are very rare, because most people don't like the original scenery objects and prefer using custom objects. 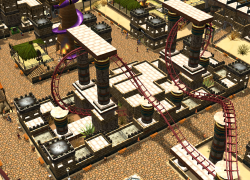 However, I see a lot of potential in NCS RCT3, so I decided to bring it back with that roller coaster. 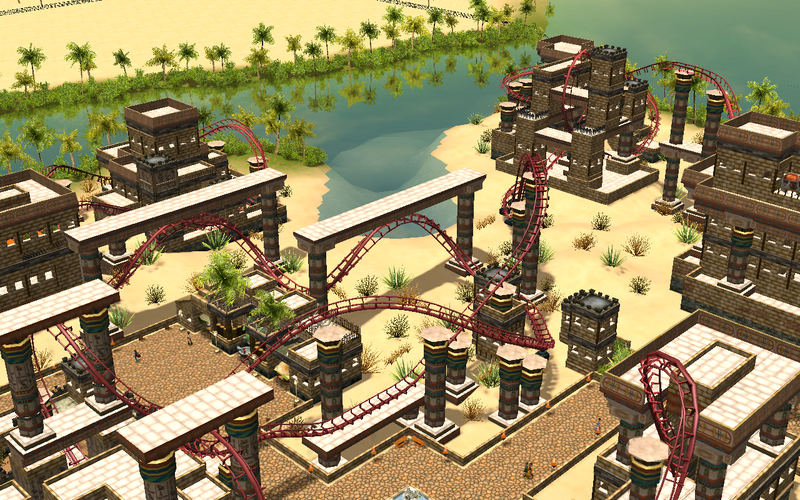 I also gave myself the challenge to use only scenery from the original game and Wild expansion. 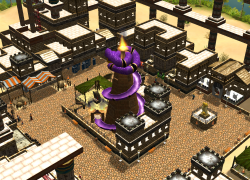 The only object from Soaked I used is the fire particle. 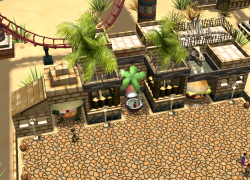 There is a READ ME file in the download that explains how to install that object in the game for people who only have Wild. 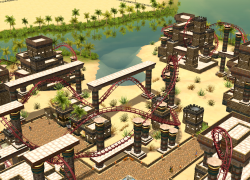 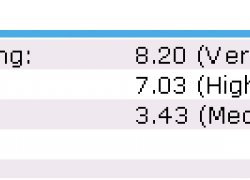 you should just put the park file for the file upload.